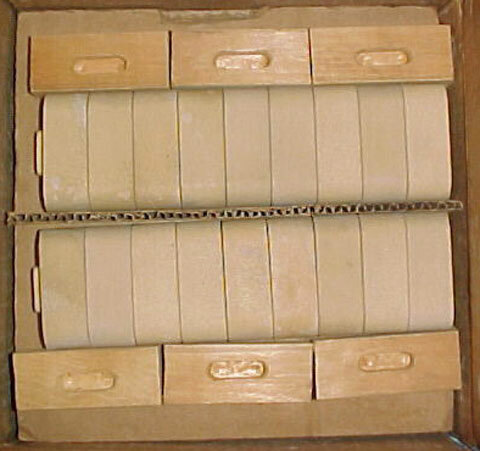 #781 Abutment Set of tan ceramic compostion material made in 1953. Here they are with their box. 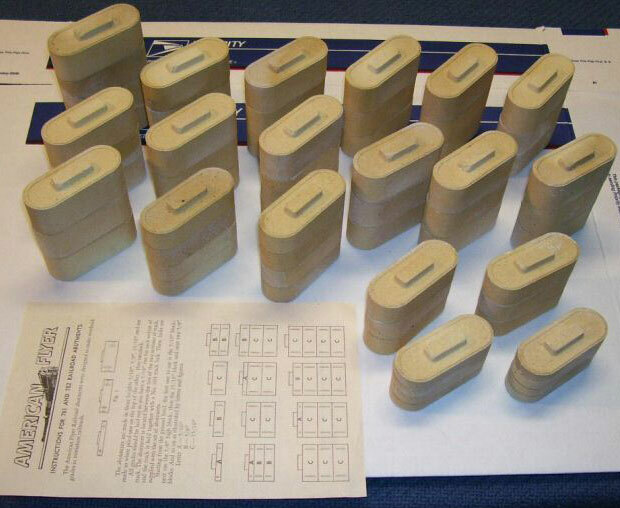 #782 Abutment Set, extra sections to expand #781 made in 1953. #783 set of 12 Hi-Trestle Sections made in 1953 thru 1956. #784 Hump Set made in 1955. 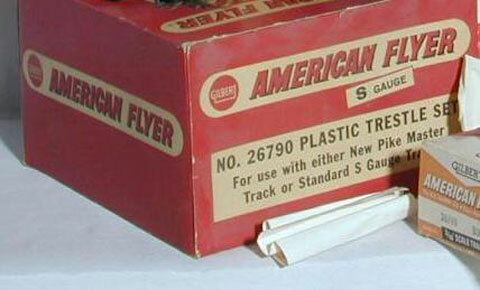 2 #700 straight track, and 8 #702 curved track made in 1952. 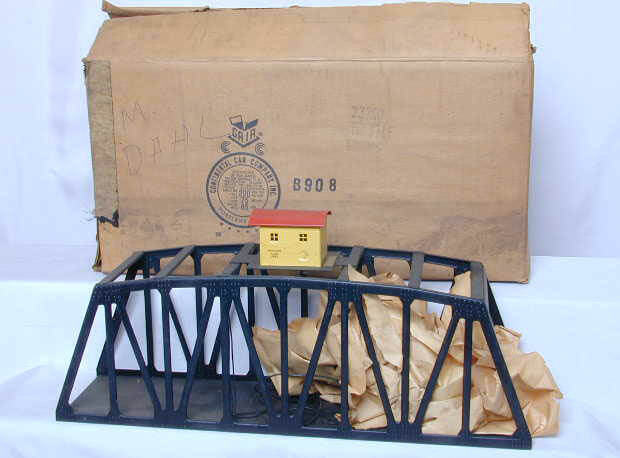 #23571 black Truss Bridge made in 1958 thru 1964. #23571 red Truss Bridge made in 1958 thru 1964. 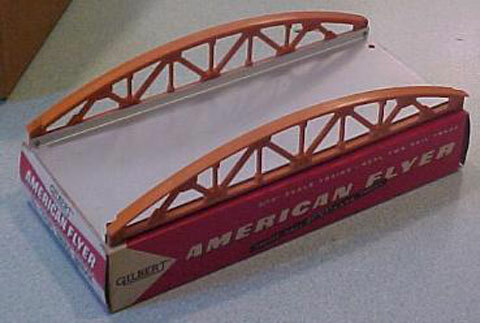 #23571 orange Truss Bridge made in 1958 thru 1964. 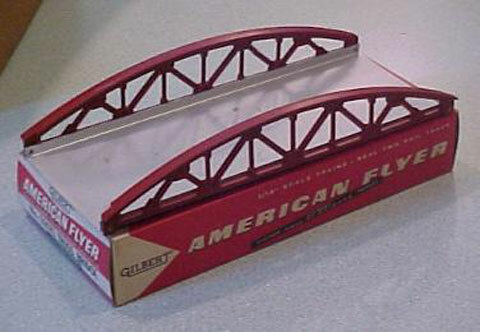 #23581 Girder Bridge, the 5-digit version of #581 made in 1957 thru 1964. 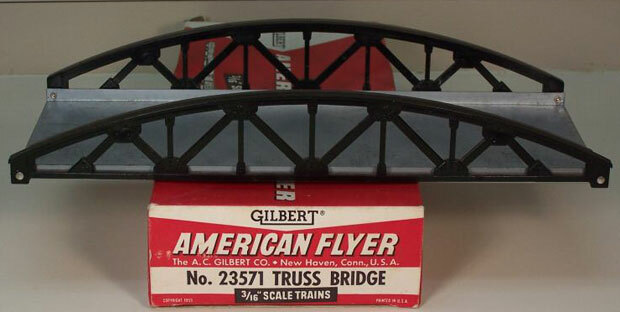 #23750 Trestle Bridge, the 5-digit version of #750 made in 1957 thru 1961. 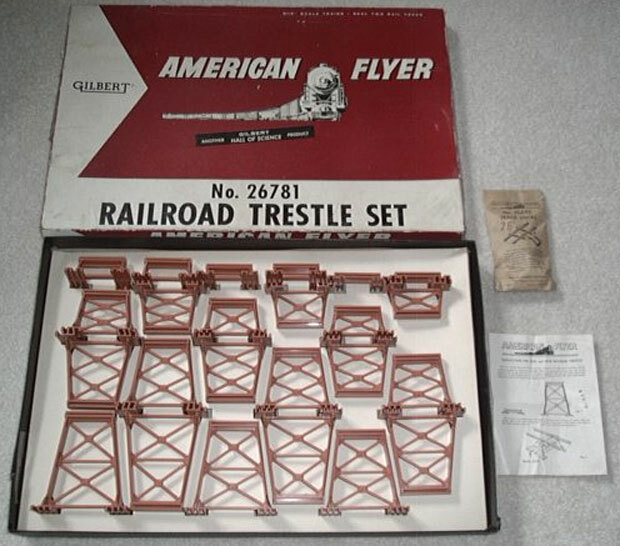 #26419 Accessory Package comprising an unspecified amount of track, #26782 Trestle Set, #26690 Track Terminal, and #26753 uncoupler. My books don't say when it was made. 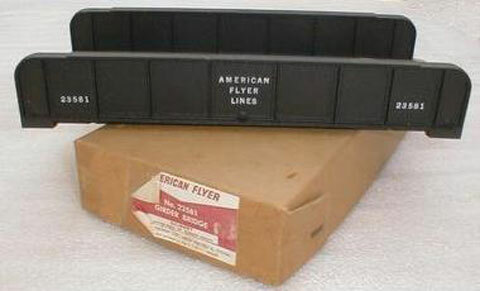 #26428 Accessory Pack with #748 Overhead Foot Bridge and eight sections of curved track made in 1958. #26781 set of 24 graduated orange trestles made in 1957 & 1958. It included a bag of #26693 Track Locks. They were also made in black. #26782 set of 26 graduated black trestles made in 1958 thru 1960. 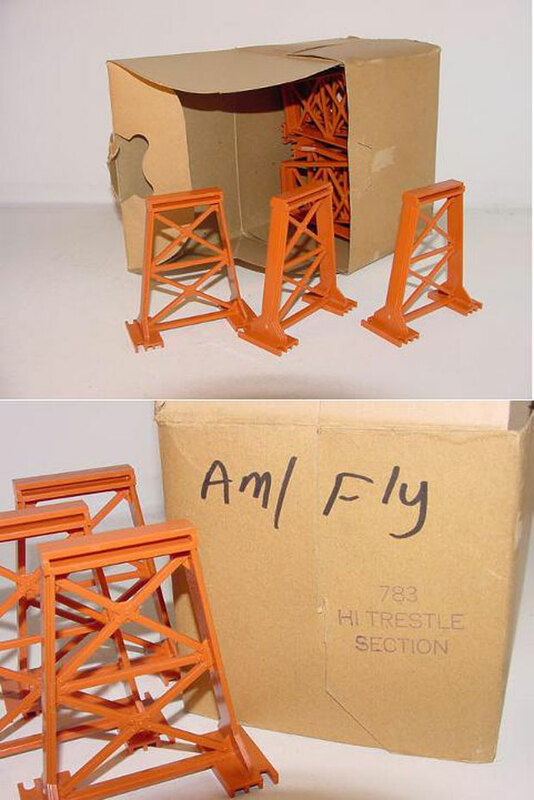 #26783 set of 12 orange or black Hi-Trestles made in 1957. 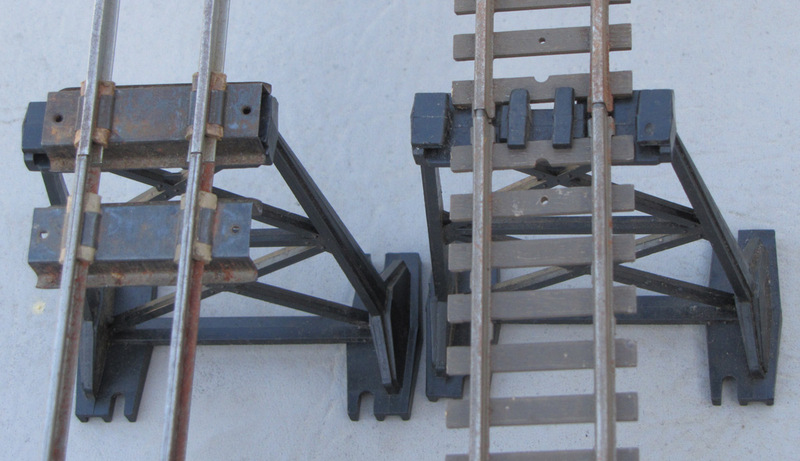 #26790 set of 26 graduated black plastic trestles made in 1961 thru 1964. And here's the box they came in. 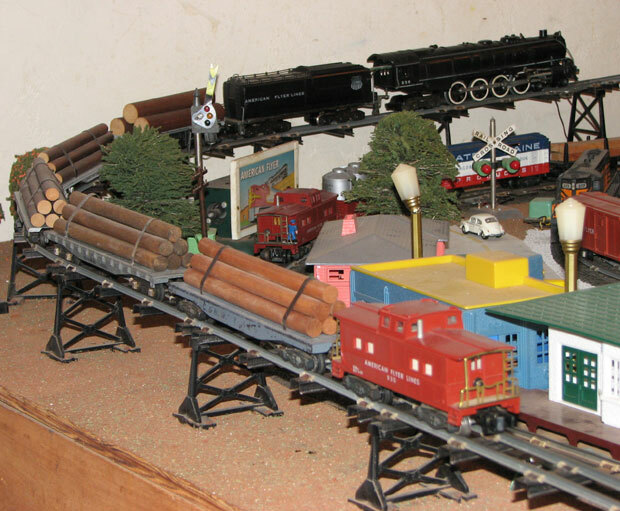 here's what they look like with each kind of track. #49825 Truss Bridge made in 2007 and 2008, Lionel's remake of the Gilbert #571. #49840 Operating Swing Bridge made in 2008.